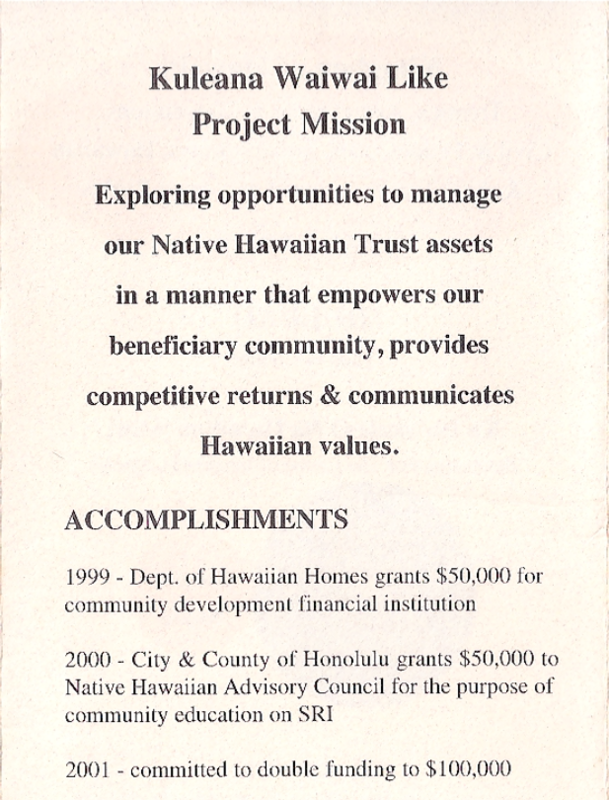 1994 – 1998 the unfulfilled Bank of America $150 million dollar commitment led to a two prong economic development initiatives / commitments; (1) was to help with the development a mortgage company, today the company is known as Hawaiian Community Assets. 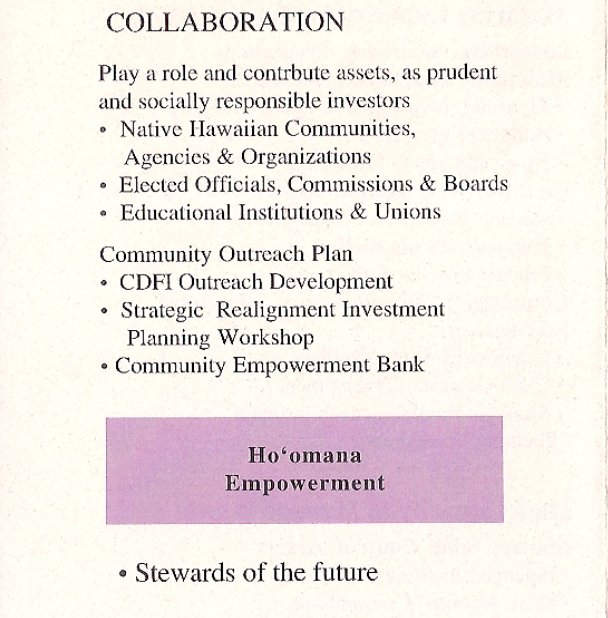 (2) a commitment from BofA to provide 3.5million dollars matching funds and technical assistance to form a Hawaiian owned and controlled Bank / Financial Institution. 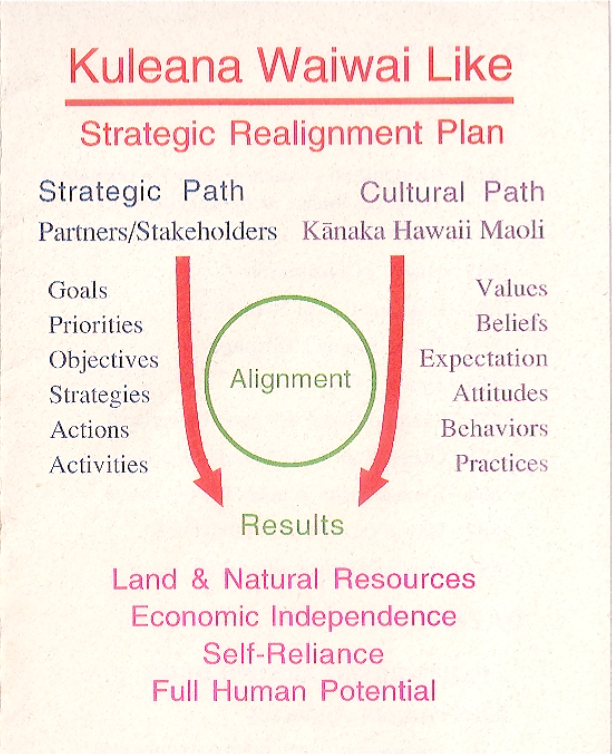 20 years ago, Kunani Nihipali, Ho’oipo Pa Martin and myself created this trifold brochure called Kuleana Waiwai Like. 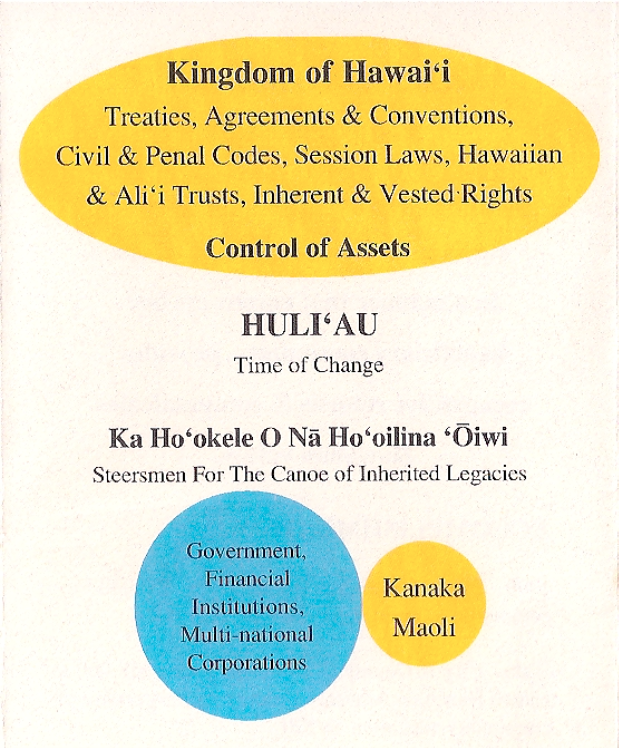 It gives you a pretty Good idea, as to who’s involved, what and how much we as Hawaiians know about our current economic condition as Kanaka Maoli beneficiaries of OHA, DHHL and ALL the Ali’i Trusts. 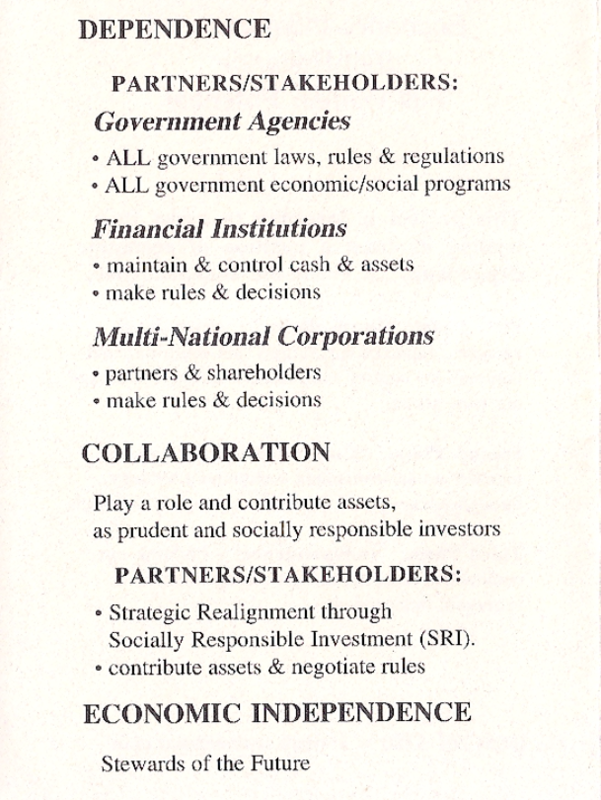 Others, the state and federal government, financial institutions, and multi national corporations in particular the BIG FIVE; (A&B, AMFAC, Castle & Cooke, C. Brewer and Theo Davies) have always been managing and controlling our cash & assets, which amounts to, billions of dollars in cash and millions of acres of National lands and resources. The problem has always been, the “others” that manage and control our wealth. 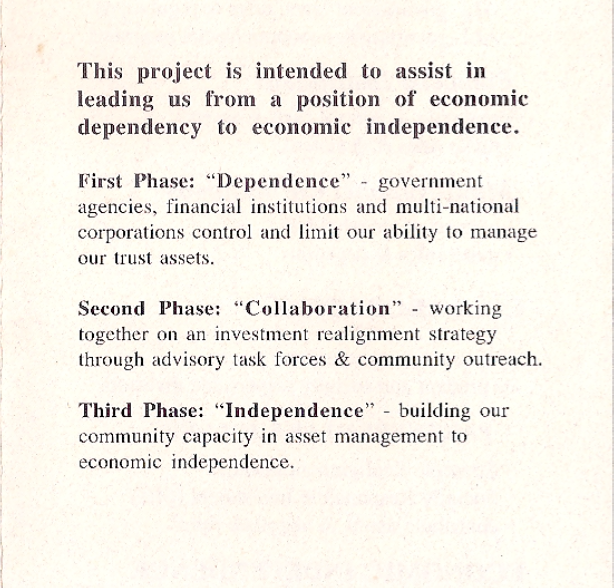 We have always been “dependency mode” on the “others” to manage and control our cash & assets. NOW, we have to move into a “maturing capacity” phase to learn everything we can to manage and control our cash & assets. Eventually moving into a strong position of “maturing capacity”, Not Only manage and control our cash & assets but to be Shareholders of our ECONOMIC SOVEREIGNTY. 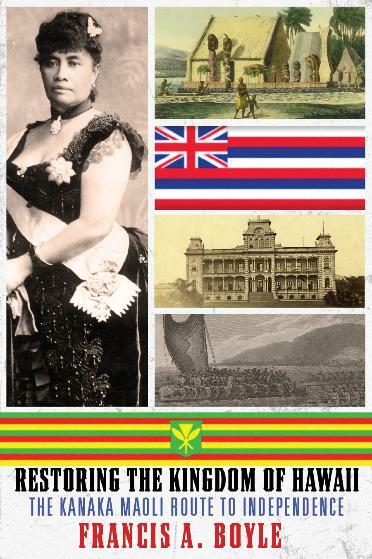 THE BANK INITIATIVE WILL MAKE EVERY HAWAIIAN A SHAREHOLDER, THAT IS, ALL 500K PLUS HAWAIIANS. 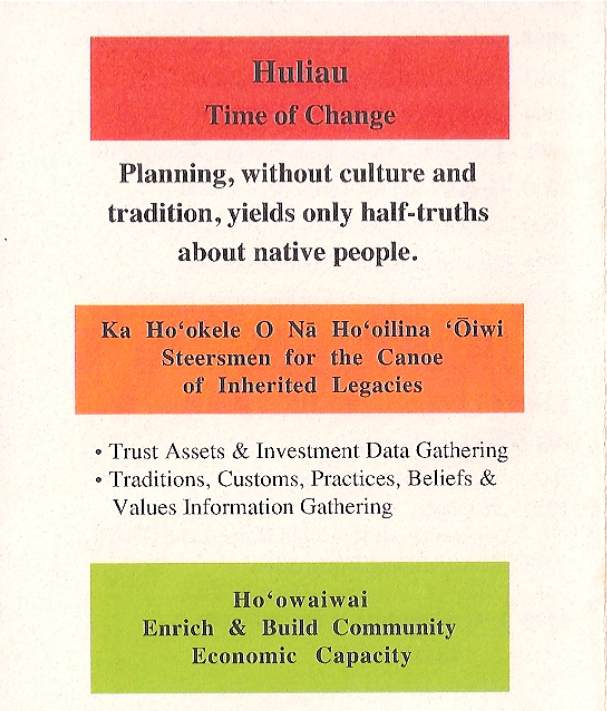 SINCE WE ARE TAKING A LITTLE LONGER TIME TO UNITE POLITICALLY, OUR BACKUP PLAN HAVE ALWAYS BEEN TO UNITE OUR PEOPLE ECONOMICALLY, AS BENEFICIARY SHAREHOLDERS OF A HAWAIIAN OWNED AND CONTROLLED BANK. POLITICALLY THE RISK OF BEING UNDER THE DEPARTMENT OF INTERIOR, IS MOOT! 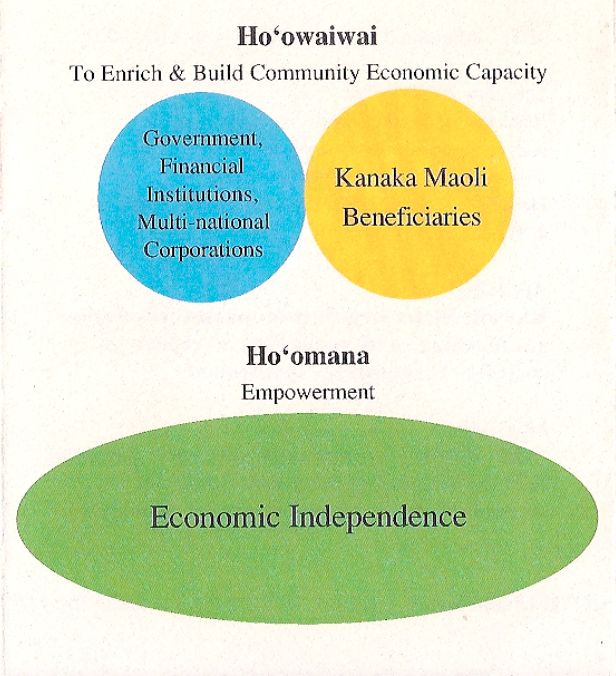 IF ECONOMICALLY WE ARE UNDER THE DEPARTMENT OF TREASURY AS SHAREHOLDERS IN A BANK, IT PUTS US AS KANAKA MAOLI INTO A MUCH HIGHER LEVEL OF ECONOMICS AND INCOME. ECONOMIC SOVEREIGNTY!! 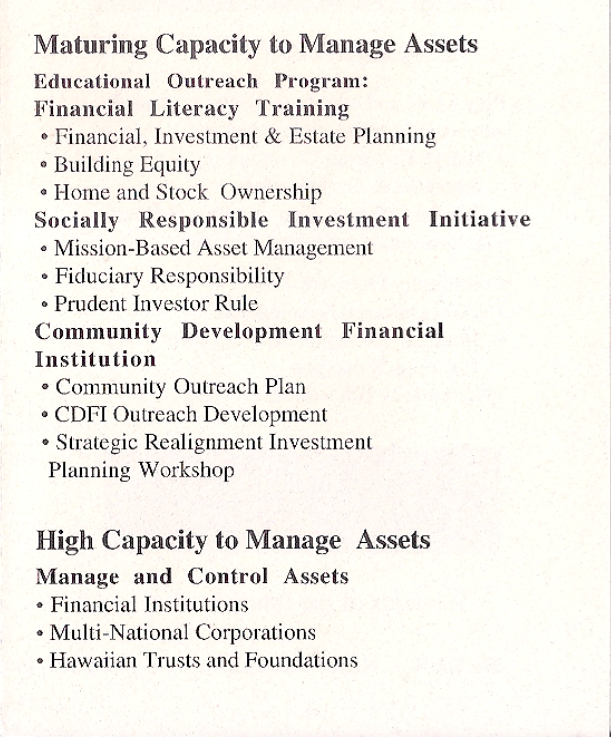 I MET WITH 25 – 30 UNION LEADERS IN 1998 ABOUT THIS BANK INITIATIVE, THEY WERE ALL IN, IF IT WAS GOING TO HAPPEN. 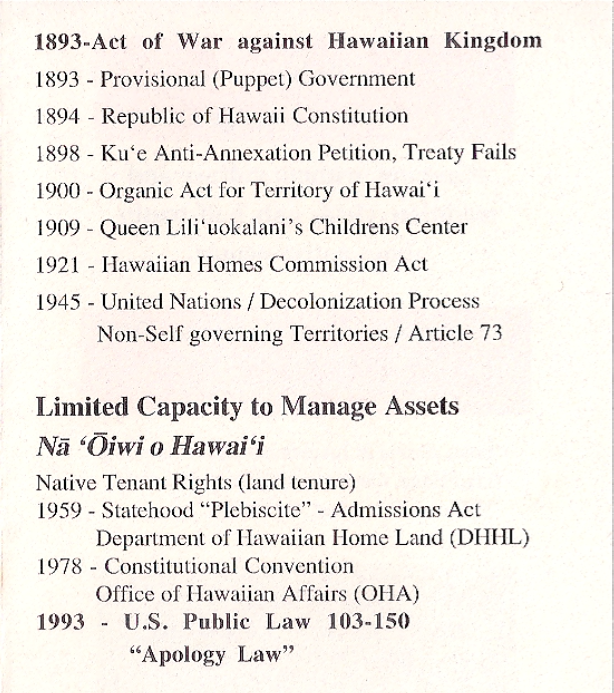 AT THE TIME WE WERE CUT OFF AT THE FEDERAL LEVEL BY SEN. INOUYE AND CUT OFF AT THE STATE LEVEL BY GOV. LINDA LINGLE. 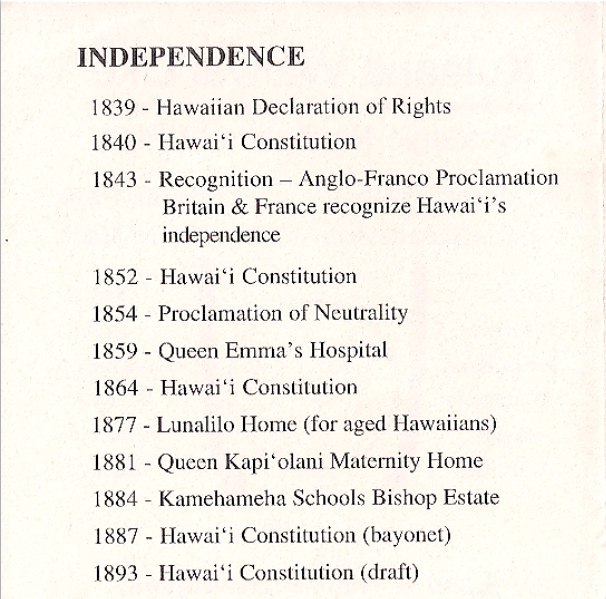 Today, Bank of America still has a unfulfilled commitment to help create a Hawaiian owned and control Financial Institution (Full Service Bank). 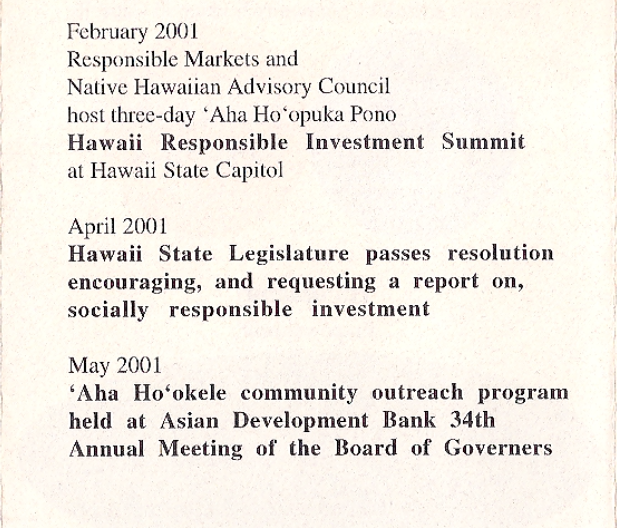 20 years ago the “lost cost opportunity” to create the Hawaiian Bank was $3.5 million. 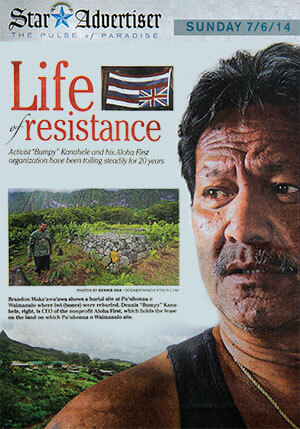 Bank of America could owe Hawaiians upwards of $60 million dollars. THIS BANK OF AMERICA UNFULFILLED COMMITMENT IS ABOUT TO HIT NATIONAL NEWS OUT OF NEW YORK.